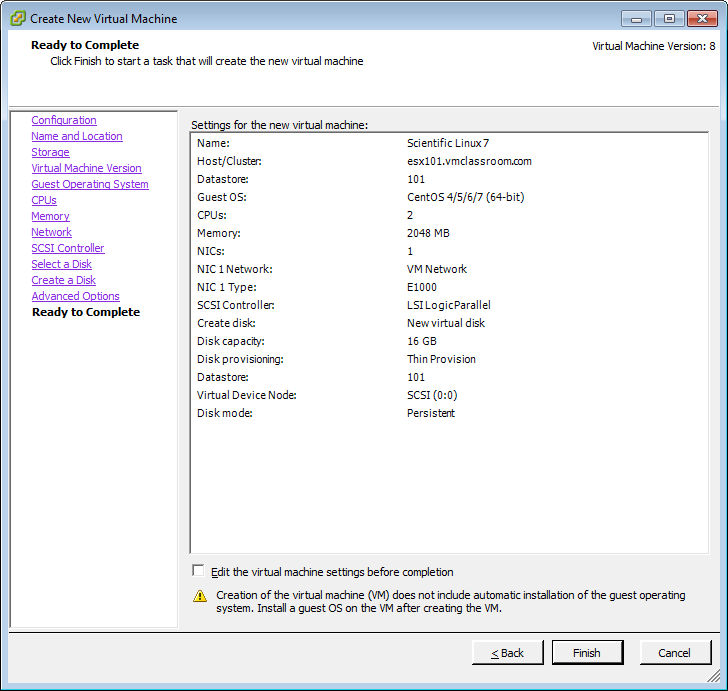 The Open Virtual machine Format (OVF) originally came about in 2007 as the result of a proposal by vendors (VMware, HP, Dell and others) to the Distributed Management Task Force (DTMF), the goal being to create an open standard for interchangeability (portability) of Virtual Machines between hypervisors. VMware was an early and enthusiastic adopter of the OVF standard, with support for import and export of OVF packaged VMs included in its hypervisors by 2008. Other vendors have shown varying degrees of support for the OVF standard, possibly as a reaction to VMware’s early adoption of the OVF standard. Most vendors and Cloud architectures have supported the OVF standard since the DTMF announced OVF 2.0 in January 2013. 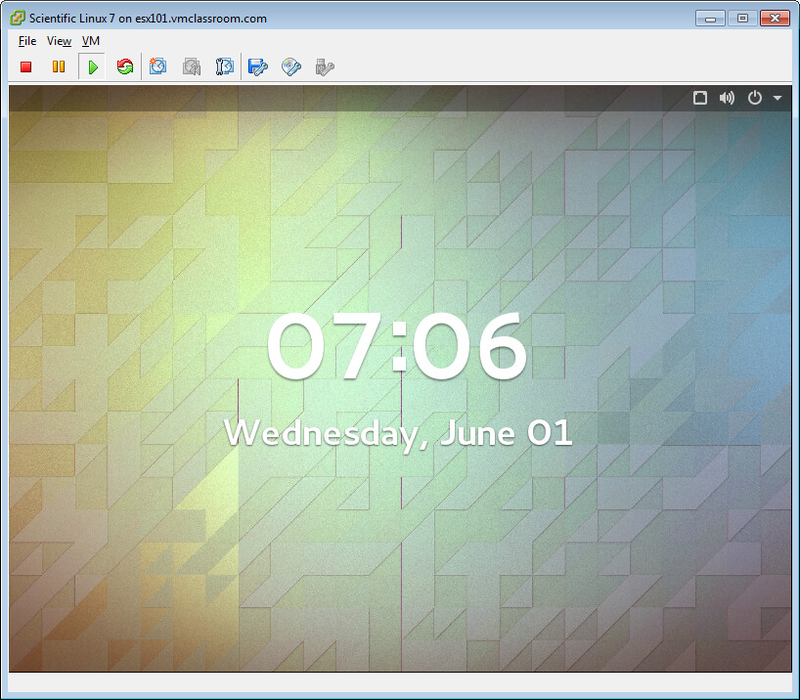 Exactly one OVF descriptor (*.ovf) which is an XML file that contains all of the metadata describing the resulting VM including: CPU, RAM, Network, and references to all of the Virtual Machine Disk files, as well as other virtual devices which were part of the source VM when the package was created. 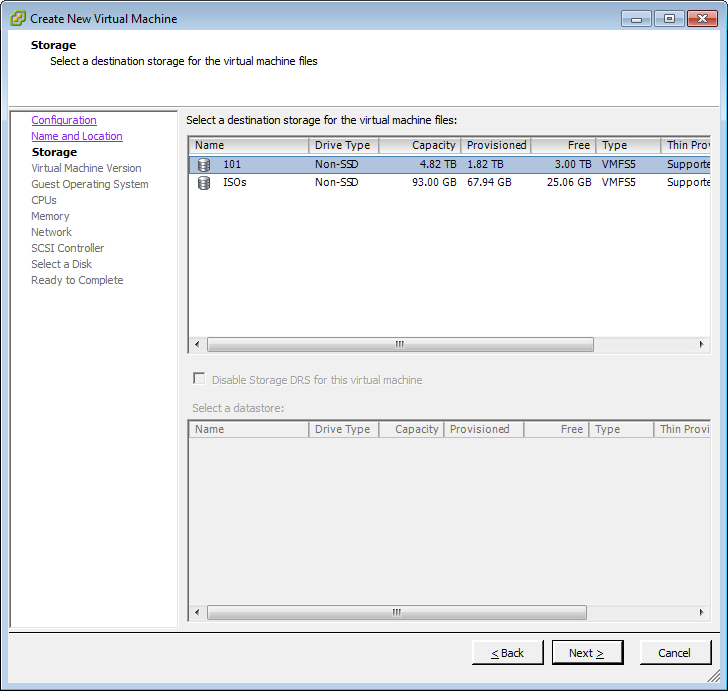 One or more Virtual Machine Disk files. 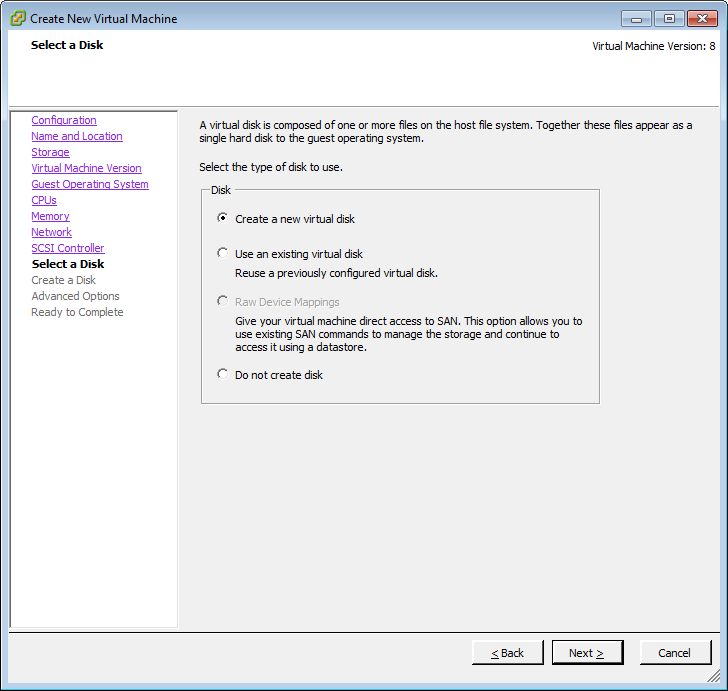 While the OVF standard does not specify any one Virtual Disk Format, it is generally advisable to use thin and/or sparse disks to maximize compatibility. A manifest file (*.mf) which contains the SHA1 digests (thumbprints) of all files except the manifest itself and any certificates. An optional certificate file (*.cert) which contains an X.509 certificate as well as a signed digest of the manifest file. It is tempting to inflict our own personal standards on others when building Virtual Appliances, but not every potential consumer has access to the same resources. In order to make the appliance usable on a wide variety of hosts, keep the provisioning as lightweight as possible. 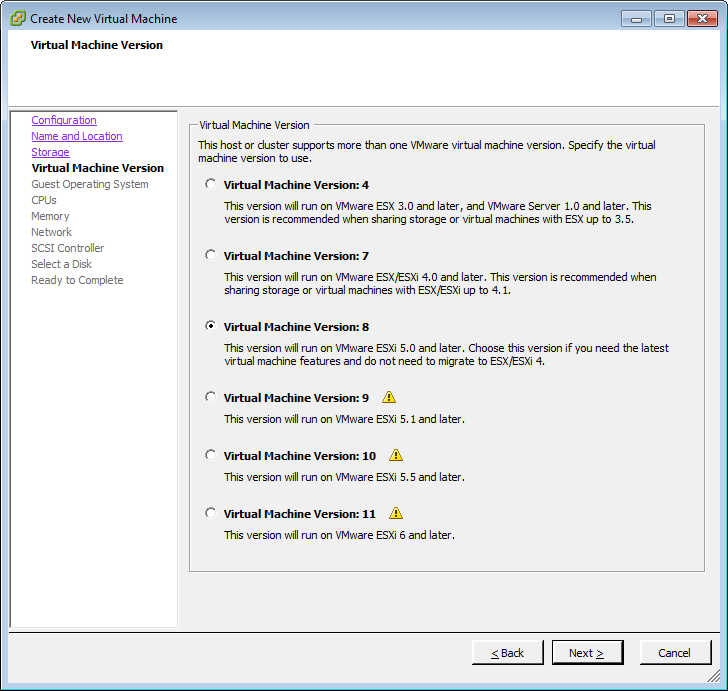 This is a biggie, failure to remove the OS installation ISO will cause any deployment from the OVF/OVA to fail. 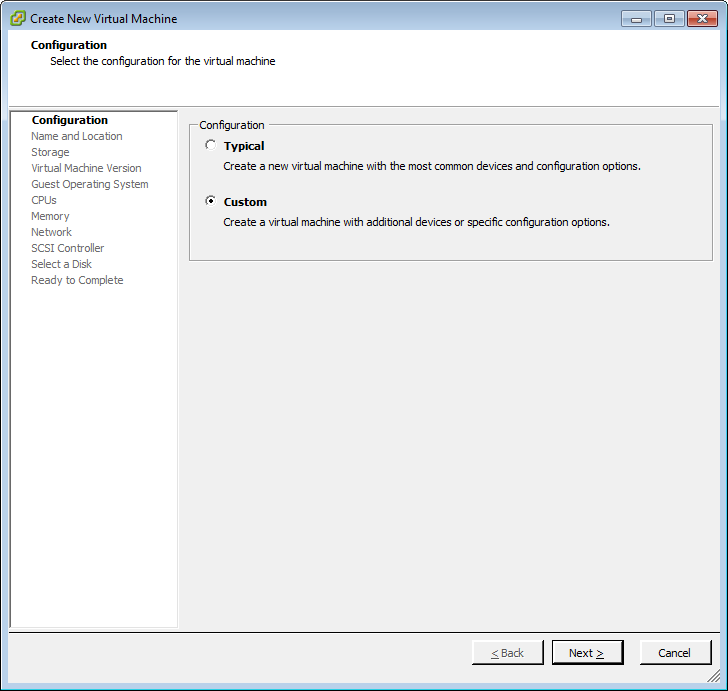 In vSphere, always choose a “Custom” installation of the VM. Name your VM with a useful, descriptive name. Generally, I recommend VM names with all lowercase characters and no spaces, but in the case of source VM for a Virtual Appliance, the ultimate VM name will be the choice of the person that deploys Virtual Appliance. 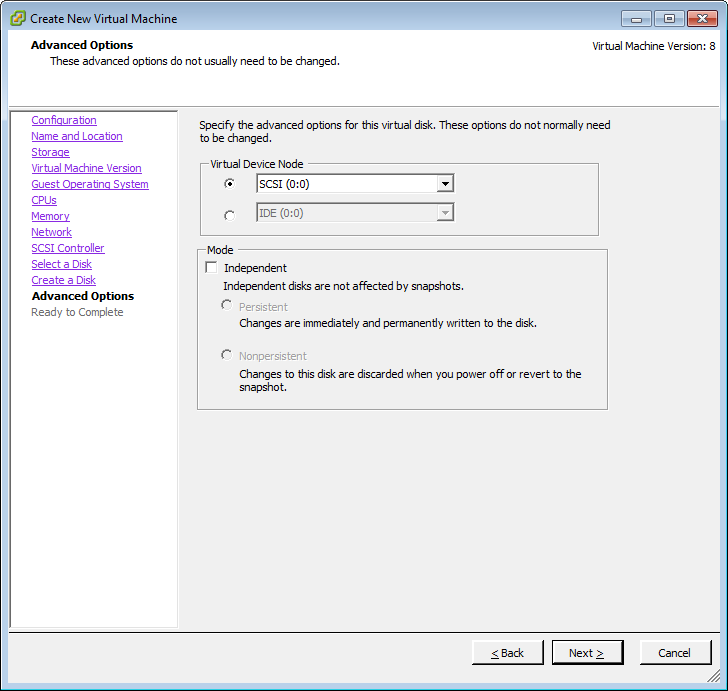 In the case of VMware, choose a Virtual Machine Version to maximize compatibility without limiting options. 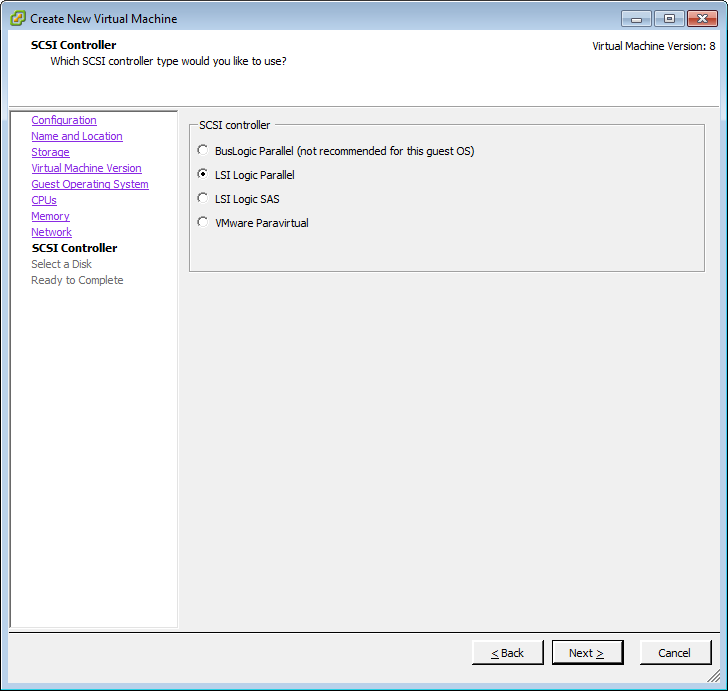 Select a compatible Guest Operating System Version. 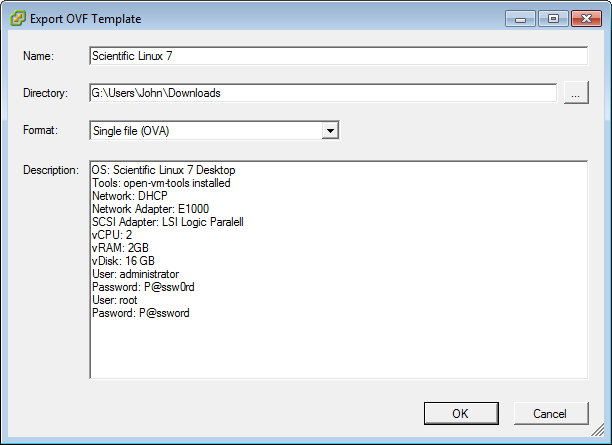 In this case, Scientific Linux 7 and CentOS 7 are both equivalent Operating Systems which are derivatives of Fedora. 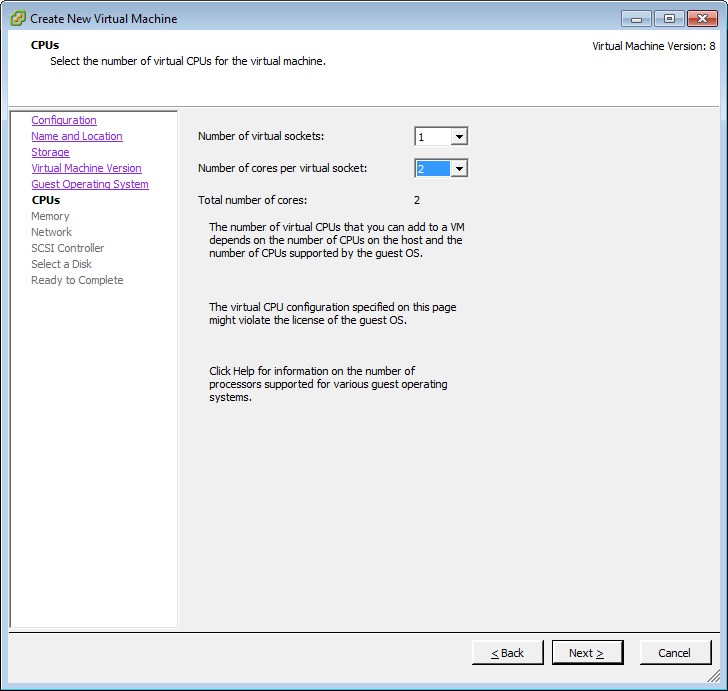 Select a minimum number of CPUs to support your VM. Choose a minimum amount of RAM. 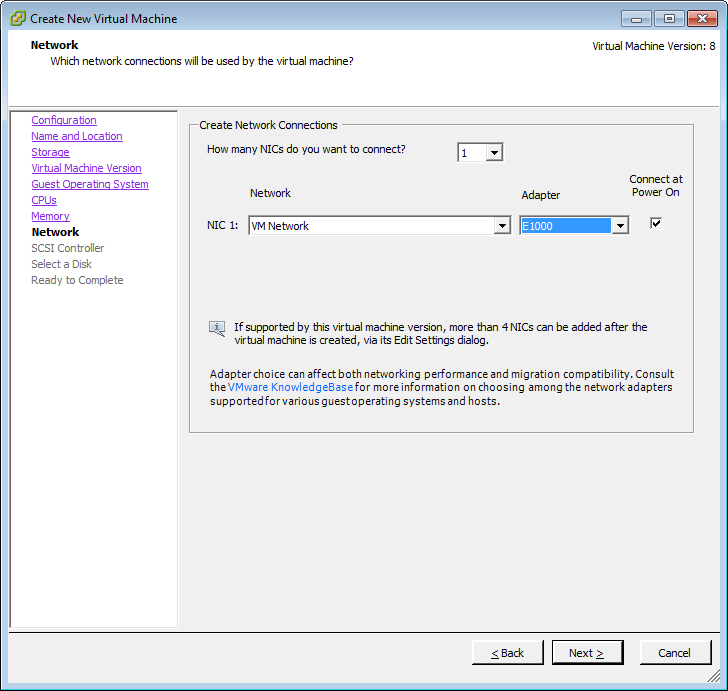 Select a network adapter for compatibility. E1000 is widely supported. 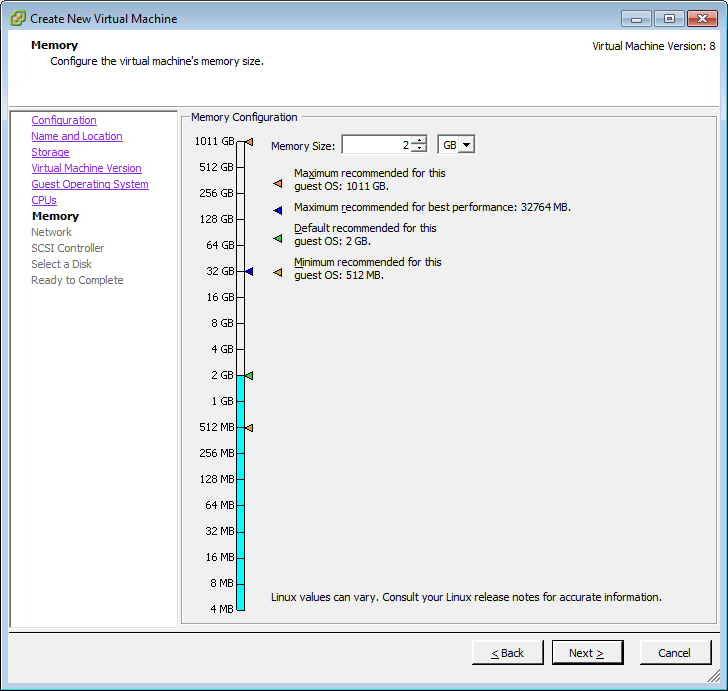 VMXNET3 is preferable, but less widely supported. Select a SCSI adapter for compatibility. LSI Logic is widely supported. VMware pvscsi is preferable, but less widely supported. 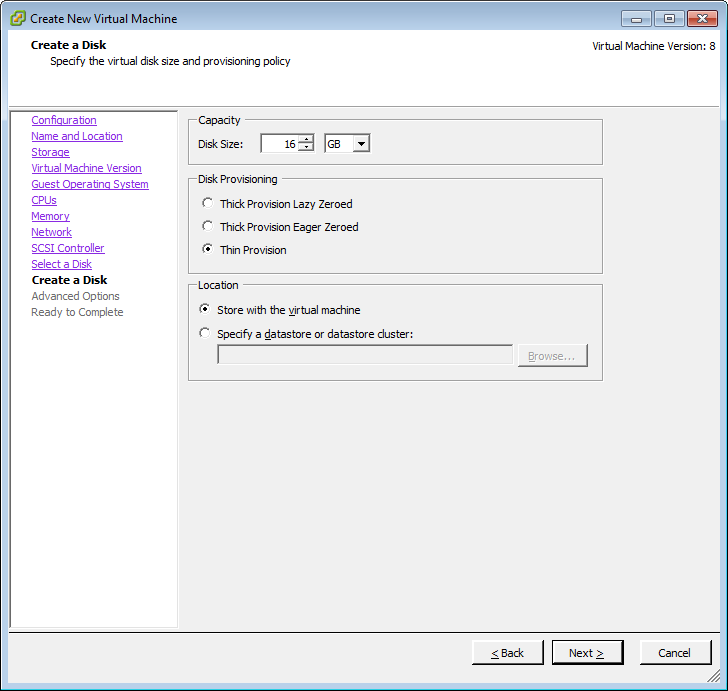 Select a small size and thin provisioning. The end-user can always extend the disk or specify different provisioning. The first disk should go on SCSI 0:0. Additional disks should follow on SCSI 1:0, SCSI 2:0 and so forth. Now you will install the guest OS. One of the biggest mistakes people make when creating OVF packages is failing to disconnect or remove the ISO file that was used to install the OS in the first place. 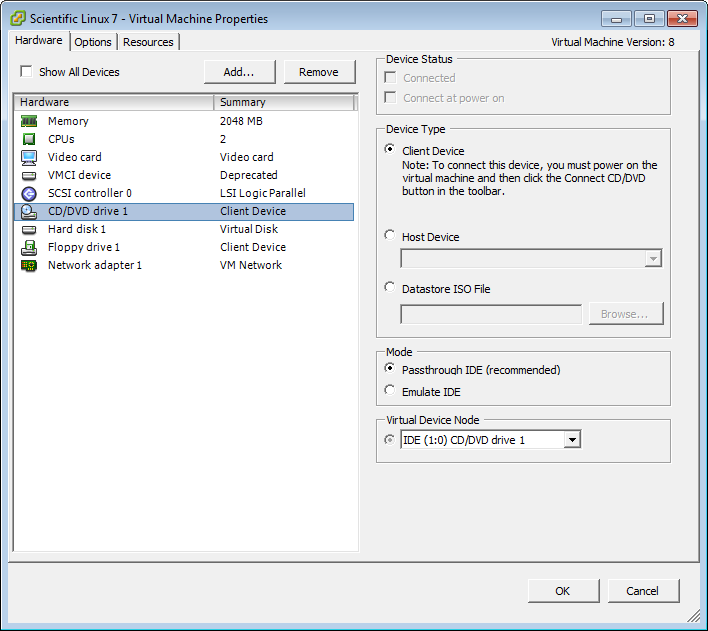 If you leave the original ISO in place when you create the OVF package, the hypervisor where the Virtual Appliance is deployed will expect to have, not only the same ISO, but also the same type of device connection, and the deployment will fail! 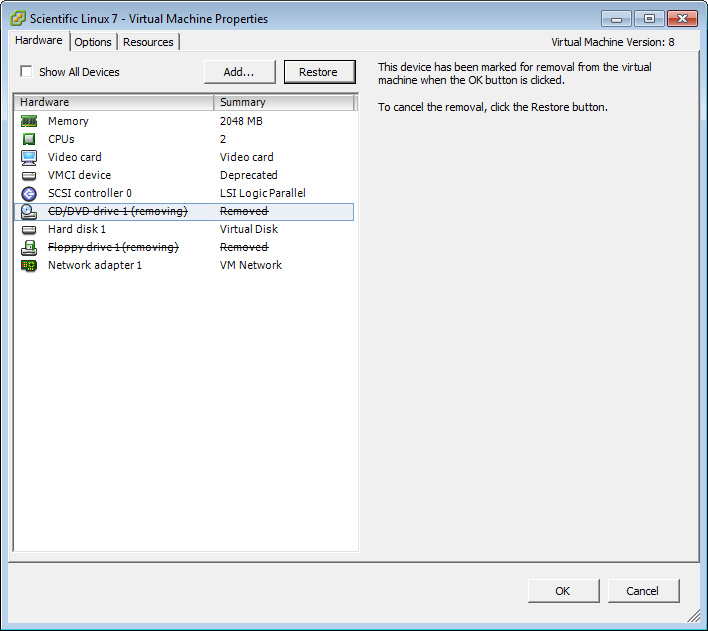 We will simply remove all hardware that the VM does not depend on, prior to creating the OVF package. 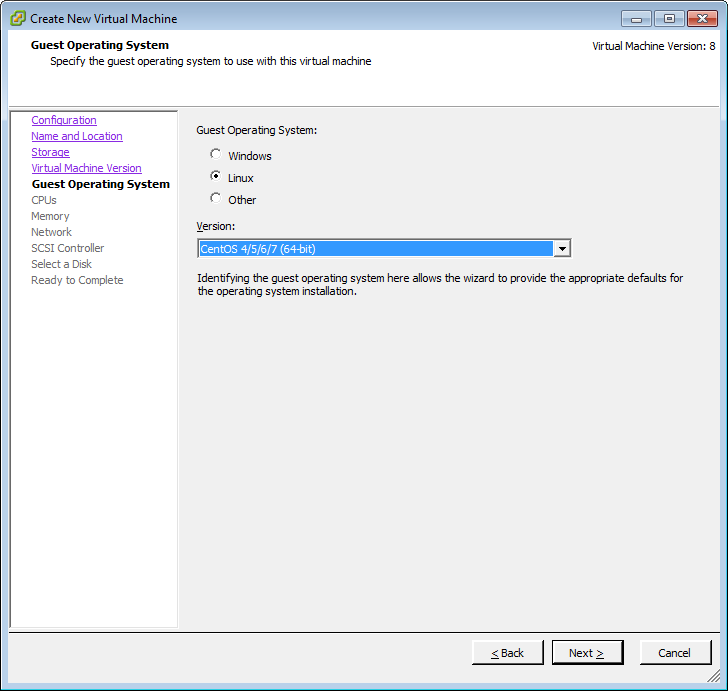 NOTE: At the time of writing the HTML5 Host Client support OVF and OVA functionality was broken in out testing, so we used the traditional Windows (C#) vSphere Client, which is supported through vSphere 6 U2. 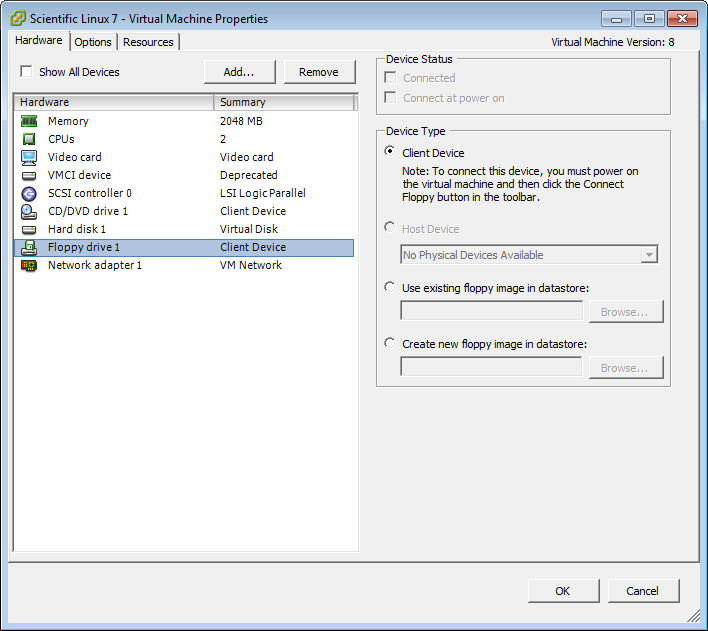 Give your Virtual Appliance a name, select a path so store it on your local workstation, and choose OVF package or OVA file. I prefer OVA files, especially for online distribution. 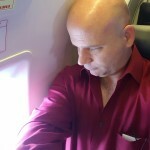 John Borhek (VCP 3-6.5) is the IT Director and Lead Solutions Architect at VMsources Group Inc. and an active consultant specializing in VMware vSphere, Linux, Networking and Infrastructure Design.